I’m not putting these up here to brag (totally), but rather, so you can see the progression as I get to know how to put these together smoothly and efficiently. 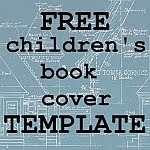 How to make your own children’s-book trailer. Export your movie with the highest quality you can, by the way. YouTube is going to squash the heck out of it, so you may as well start with something good. Finally, upload to YouTube, and add an intelligent title, description and keywords, to make your video as findable as possible when people are searching for similar things. There are folks out there now telling writers like us that we NEED trailers. And, very kindly, offering to make one for us, for a “reasonable” fee. I would hesitate. Going a bit further, I’d probably tell you NOT to spend money on a trailer. Even if my trailers aren’t the most beautiful in the world, they do a decent job of getting the point across. How much more value would I have gotten if I’d spent, say, $300 per trailer? Given that we don’t know whether trailers sell books, I’d put that value at approximately $0. If you have a friend or relative who wants a few bucks to throw together a trailer, fine. But I don’t recommend hiring anybody specifically for this purpose. And don’t pay extra to some fancy book promotion company who promises a book trailer as part of their package of services. Remember that as fancy-pants as it sounds, your book trailer will cost them – as mine cost me – not much more than $0. How long should your book trailer be? Maybe I’m getting less patient, but the three trailers I’ve made have gotten progressively shorter. With the most recent, I made a deliberate effort to keep it under 1 minute, including the music credit at the end. If you honestly can’t tell people what your book’s about in under a minute, then you have my permission to go longer – I don’t believe there’s a set length. But people have limited attention spans, so you’re better off getting the point across quickly: get in, say it, get out. Whether or not anybody ever watches my trailer (fingers crossed), I’m happy I did these three, and will probably do more – although possibly not for every single book. The idea of summing up your book in a few words and pictures, putting it to music; the whole activity feels very holistic. Not just pure fun, but purposeful fun… paring our writing down to its very essence. One question I’m left with that I haven’t investigated yet is – who watches trailers for kids’ books? If only I knew how to do it. Still, it’s a fun learning curve, for a change. Any ideas for how to make a book trailer truly great? Let me know in the comments! Hello, from a children author in Concord, Ca. I have a web trailer on youtube.com... Bought on Fiver. I'm listed as william sawyers. Found your site on Linkedin. I'm helping out four local schools from my published works with a dollar a book. Rest of my stories free. Aha, another happy fiverr user! I noticed yours is more of an "author trailer," since it says more about you than your specific books. Fascinating idea - thanks for stopping by & sharing it. I love your trailers, I like how you shared the highlights of your books, it gives the viewer a good glimpse of the story. Well done. I will probably have to redo mine, now that I have some pointers. BTW are you living in Israel at the moment, or do you live in Canada?